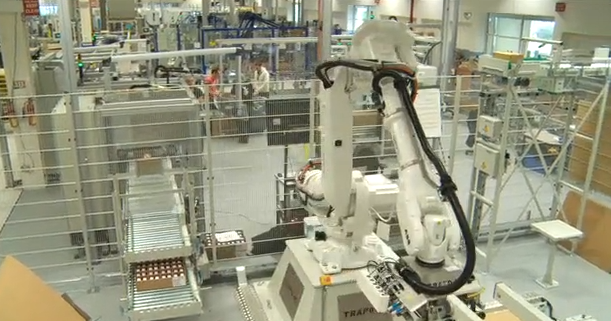 TOTALlineTM is a flexible, configurable, and fully customisable software solution for modern manufacturing facilities. 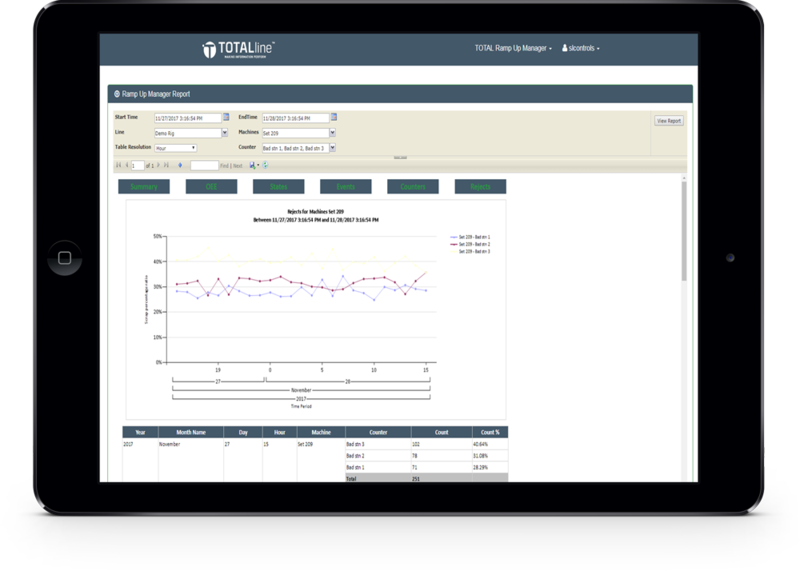 By replacing manual systems and processes, TOTALlineTM improves the operation of your production line, enhances monitoring capabilities, and gives you a deeper understanding of plant operations through better use of data. 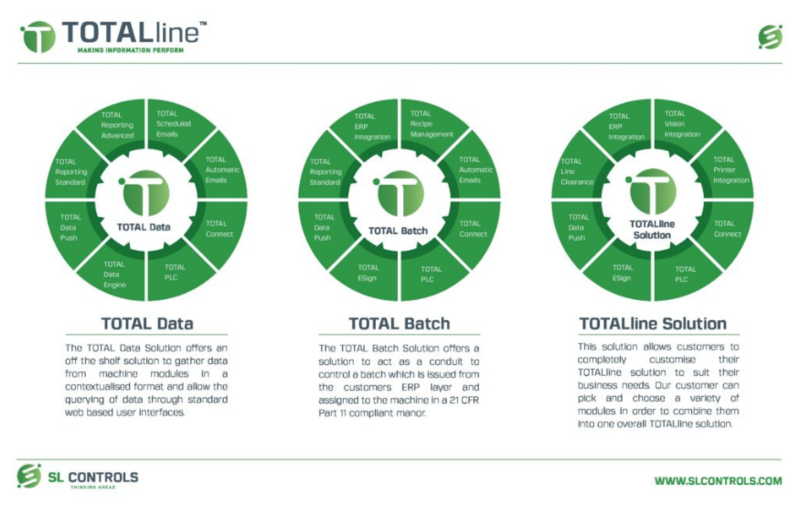 Speak to a member of our team today to see how TOTALlineTM can improve batch control and/or data management and reporting on your production lines. Email sales@slcontrols.com or complete the form. 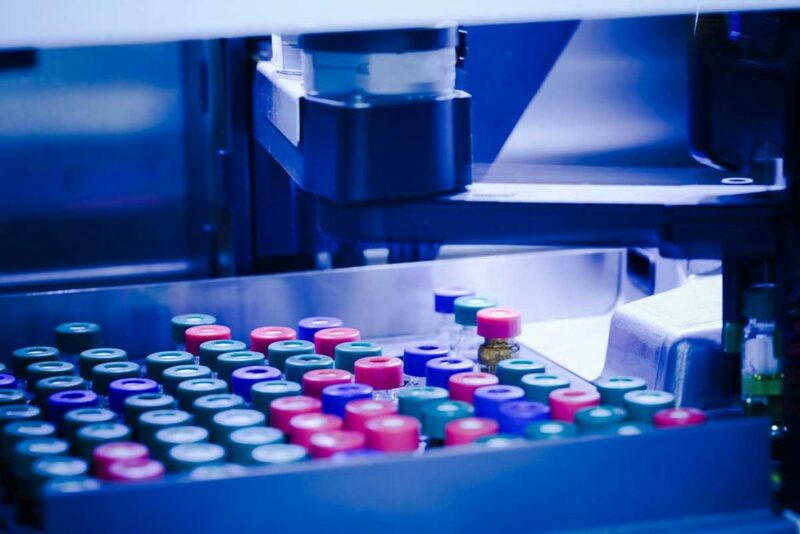 TOTALsolution – select the modules from our TOTALlineTM product range to create a fully customized solution tailored to the needs of your business. Read more. 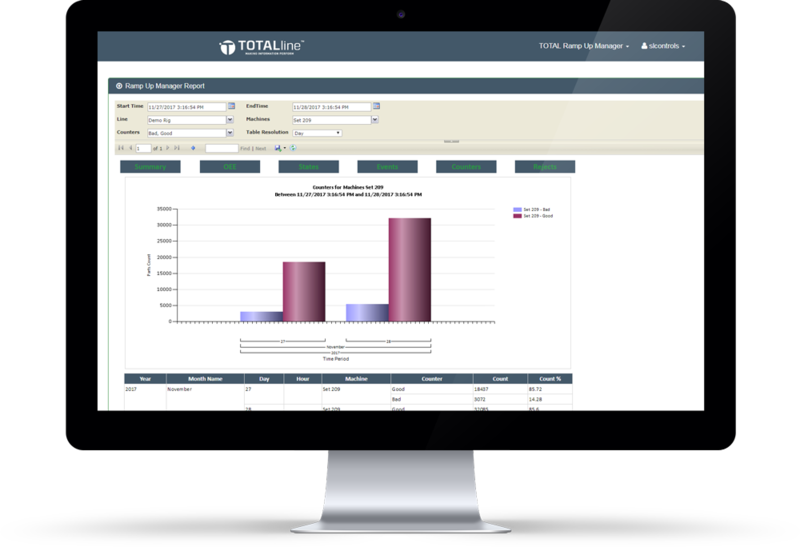 TOTALdata – access data and reports from anywhere on all your machines and processes through the TOTALlineTM web-based user interface. Read more. 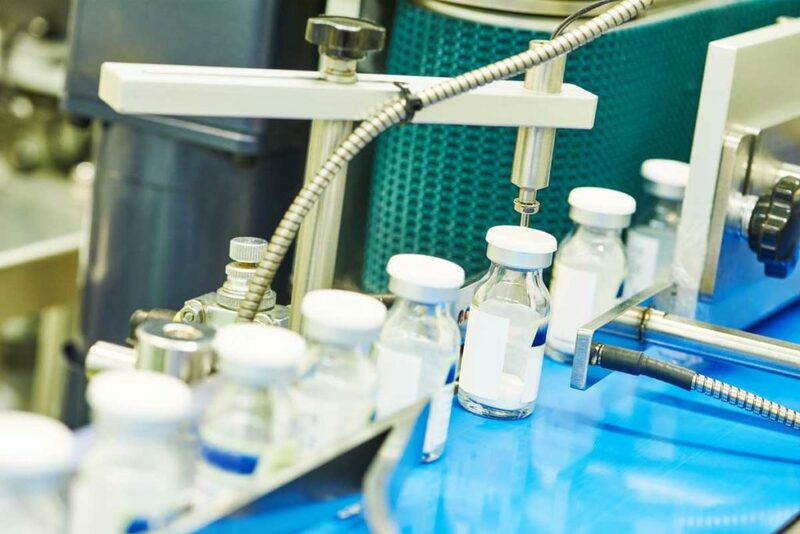 TOTALbatch – acts as the conduit between your ERP layer to control batches on your production line with full 21 CFR Part II compliance. Read more. We will fully customize TOTALlineTM on a plant level to ensure it suits your production line and delivers on your objectives. You can tailor reports and email notifications for each user of the system to ensure you get the data you need when you need it. TOTALlineTM is scalable so can grow and adapt with your business as you add functionality, replace machines, alter output, etc. We can integrate Vision Integration & Inspection solutions into TOTALlineTM, so you can visually monitor equipment performance. Add printer integration to your TOTALlineTM solution to enable the printing of custom serial codes for your products. 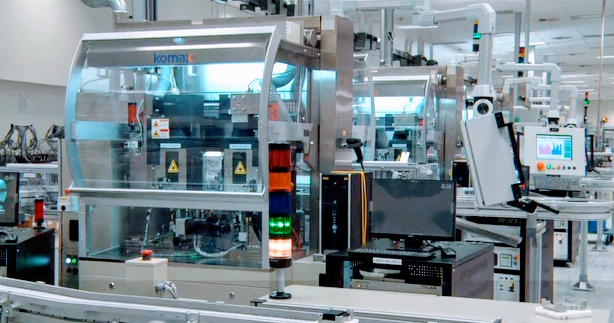 Integrate machines and production lines in different locations with fully compliant, enterprise levels of security. To find out more about the modules, configuration options, and possibilities that TOTALlineTM offers, please download our TOTALline Technical Data document by completing this form. Click the image to view the form. TOTALlineTM can deliver OEE savings of up to 20 percent on your productions line. Find out more by contacting a member of our team today. Please email sales@slcontrols.com or complete the form.